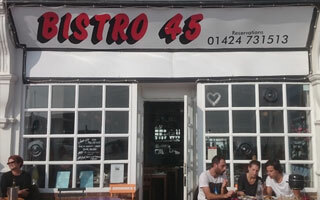 2019 sees Bistro45 entering a new chapter. After 25 years in education, Mark has now spent 18 months living his passion for good food, good ambience and good service. 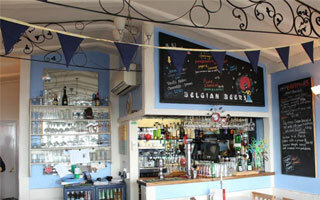 An intimate bistro and mussel bar nestled on the esplanade in Bexhill-on-Sea, with fantastic views across the English Channel, Bistro 45 seats 34 guests inside with outside seating for a further 8. Our menu features fine locally sourced food and a weekly changing specials board offering the best from this week's market. We have just launched our new Lunch Bites menu for the autumn. 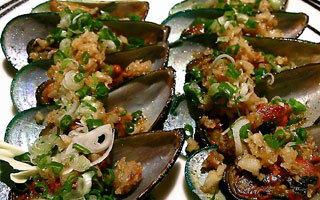 Whether you are seeking fresh fish and seafood - we offer a menu of mussel recipes - or local meat or vegetarian dishes, then look no further. If you have food intolerances please be sure to inquire, as all of our food is prepared on site - we have yet to find a customer we could not accommodate. All times above indicate last orders in the kitchen. During quieter times we may close slightly earlier than stated above. If you would like to make a reservation outside of these hours please contact us to see whether we are able to accommodate.